Valtteri Bottas admits that he feels lucky to walk away from qualifying in China after a "super close" qualifying session. The Finn got the better of teammate Lewis Hamilton by just 0.023s, after setting a 1:31.547 which took him to his seventh career pole position. While Mercedes locked out the front row, Ferrari had to settle for the second row with Sebastian Vettel ending the session three-tenths down on Bottas. 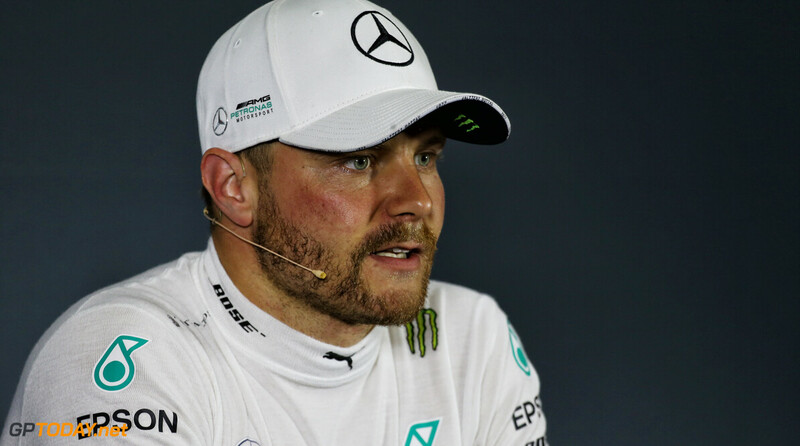 Bottas says that he struggled throughout the final stage in qualifying but was nonetheless pleased to walk away with the top spot. "It's been a good weekend so far for me," he said. "Now starting from pole position. I felt already really confident this morning, in FP3. In qualifying, I honestly struggled a bit in Q3 to get the perfect lap, but it was good enough. "The lap was OK, like I said, not completely how I wanted. Luckily it was good enough for pole. I think in Q3, honestly, in those two runs I never got the perfect lap, there was always something, but that’s how it goes. The pace was good, and it was enough for pole. "The car has been really good this weekend, Lewis also managed to improve a lot during the qualifying and it was super close. "The weekend, so far, has been very good. Obviously tomorrow is the big day but at least on single lap performance it’s been competitive. As a team we’ve been super strong." As he set his fastest lap in Q2 on the medium tyre, he will start the race on that compound, with Pierre Gasly is the only driver inside the top six that will start on the soft compound. Bottas believes that the medium tyre will prove to be more favourable during the race due to the poor life range of the soft compound. "The thing here is that the soft tyre is, on a very high-speed track, there are long corners that put a lot of load on the tyres, so the soft degrades more during the lap, even in just one lap. "So the Soft might be a lot quicker at the beginning of the lap, but by the middle of the lap, it’s already slower. That’s why there’s not a massive time difference between the two. "I think tomorrow, as normal, the Mediums will be a better tyre after a few laps. That’s usually the case, but that’s something we’ll find tomorrow." I kinda suspect Ferrari will have a better race pace though, hard to tell. I think that we, again, have a decent race ahead of us.